To welcome and celebrate the 2018 FIFA World Cup Trophy Tour by Coca-Cola in Jordan and Dubai, H+K worked with sister agencies Ogilvy, UM, and Geometry to create an integrated communications campaign that aimed to create buzz and engage media, influencers, and fans with the brand. In addition to forming and leveraging partnerships with key players in the sports industry including the Jordan Football Association in Amman, and the Dubai Sports Council in Dubai, the activities engaged more than 6,600 consumers; more than 120 media and influencers; resulted in more than 164 pieces of coverage; and generated a hype in both cities. The launch campaign kicked-off at a stakeholder breakfast event in Jordan, followed by a press conference and a consumer event. 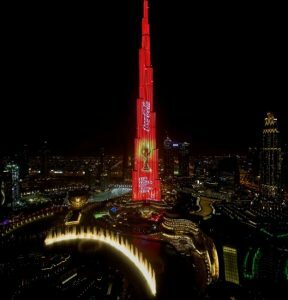 The coveted trophy touched down in Dubai the next day and was celebrated through a press conference, and a tour to Dubai’s most iconic landmarks including the Dubai Frame; the Tolerance Bridge; and the tallest building in the world – the Burj Khalifa, where picture perfect moments were captured and shared, including projection of the trophy onto the Burj. H+K achieved engagement of more than 6,600 consumers and stakeholders and more than 120 media and influencers. We secured more than 164 pieces of coverage, with a reach of 272,530,802, and built relationships with key and relevant stakeholders. We had key message penetration, reaffirming TCCC’s role as a vital player in the world of sport. The amplified ‘Army of 1 million artisans’ campaign and activities have been ongoing from October 15th 2018 and June 31st 2018. Prior to the communications campaign, we developed several documents to support the right messaging. We developed a message track, which was used to guide the HF Foundation spokesperson during stakeholder interactions. Secondly, we developed a social media calendar that guided the @HFGroup twitter handle messaging. Lastly, we developed briefing documents that contained press releases, factsheets and presentation that would be used during interactions with the media and different stakeholders. To enable the campaign reach the target audience, we engaged selected news, jobs and construction bloggers to create further awareness about HF Foundation. Their secondary role was to create a connection between the Big Four agenda and the role HF Foundation. The bloggers who were engaged were Business Today, Smart News Kenya and FemmeHub. As part of the campaign, we hosted 10 mentorship forums for artisans with top industry contractors and Technical Training Stake holders. These sessions were aimed at providing the trainees hands-on advice related to occupations in to the construction sector. Some of the mentors who attended the forums represented organizations/ institutions / Private Sector. Following the trainings, HFF held 10 graduation ceremonies for the 1000 trainees with media and partners (current and prospective). During the graduation, HF Foundation launched “Fundi Pesa” which is a loan facility to help artisans purchase tools in partnership with local suppliers as well as working capital for those who need it. Together with other stakeholders, HF Foundation convened multi-stakeholder meetings and workshops to develop Competency-Based Education and Training (CBET) curriculum Framework, the first of its kind in the Country, in Kenya’s Technical and Vocational Education & Training (TVET) space. HF Foundation also held multi-stakeholder workshops to develop Occupational Standards for 10 trade areas in the building and construction industry, and to sensitize CBET training in Technical Training Institutions across the country. This campaign created top-mind awareness of the HF Foundation and its milestones. The HF Foundation registered an increase in the requests for training from prospective artisans between January and October 2018, from 2494 to 2752. The campaign facilitated Short course CBET training for 2259 artisans and secured 551 internships of TVET students with construction companies. We proactively created and seeded content around the HF Foundation activities to traditional and social media. Leverage on partnerships to create support and donations for the HF Foundation. The campaign attracted new partners from Ultra Power Systems, Josil Construction Limited, Endeavors Company Limited, Aggregate Construction Limited and learning institutions such as Kenyatta University, Lamu Vocational training Centre, Ukunda Youth Polytechnic, Kisii National Polytechnic and Kaiboi Technical Training Institute. By June 31st 2018, HF Foundation partners had contributed over Kshs 51,900,000 towards supporting the implementation of the “Army of 1 Million Artisans” project. To date, eleven organisations/institutions have reached out to HF Foundation seeking partnership opportunities, which are under discussion. These are UNHCR, Don Bosco, SoS International, UNDP, MRM Foundation, Cocacola Foundation, German Delegation of Industry and Commerce, Baringo TTI, Masai Mara TTI, Wote TTI, Makueni County, Kericho County. 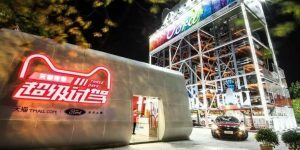 In a market where car brands really need to differentiate themselves from competitors and stand out; enter Ford x Tmall’s Super Test Drive, the world’s first automobile vending machine. H+K China faced the challenge of launching the vending machine with a sufficient amount of fanfare but in a matter that did not spook Ford’s loyal army dealers across China and at at the same time also drive real business results. With tight and nuanced messaging, H+K China produced a flawless campaign and innovative launch event that balanced hype with reassurance. Not only did the striking image of China’s first auto vending machine grab headlines across the globe, but almost 300 test-drives were booked directly following the launch. Coverage was achieved across top-tier media including CNBC, Reuters, WSJ, TechCrunch, South China Morning Post, Mail Online and Forbes. The Ministry of Social Affairs and Health challenged H+K to create a humane campaign for the new Genome Center in Finland, whilst encouraging citizens to take a stand on the Act’s preparation. 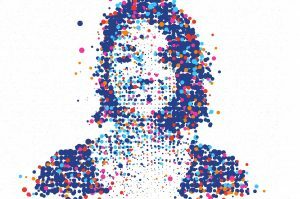 By combining modern science related to genomes with humane and touching patient stories, H+K gained coverage across the country and 360,000 video views, increasing the desire for more information. H+K Helsinki curated the campaign strategy, overall design, media plan, visual look and symbol for the multi-channel campaign. National Bonds Corporation (NBC) is a leading investment company in the UAE with an innovative shari’a approach to financial products and services and a strong belief in the pivotal role of savings in shaping a brighter financial future for their diversified customer base. To embody this purpose and further NBC’s aspiration to become an iconic brand, Hill+Knowlton Strategies along with WPP partners JWT and Mirum conceived of and launched a digitally-driven campaign asking the public to share their #SavingsExcuse for a chance to win AED 100,000. A media audit was conducted in preparation for the campaign launch to source journalists’ ‘excuses’, which were then used to create a unique gift for each reporter to supplement the campaign press kit – which included top-line statistics highlighting the lack of savings in the UAE to drive media headlines. Additionally, H+K worked with influencers to create content to generate more buzz and campaign engagement. Among them, Virgin radio DJ Kris Fade, comedian Wonho Chung and social commentator Khalid Al Ameri all shared their ‘excuse’ using their own unique style, brand and tone-of-voice. This ensured NBC’s varied customer segments including UAE nationals, South Asians, Arab expats and Western expats were all targeted and reached. The PR & Communications strategy was supplemented by an above-the-line activation across the UAE and results included 60 pieces of original coverage, with 26 top-tier media hits. The influencer engagement was also very strong – for example, Khalid Al Ameri amassed 258,721 views on one post alone. This impact directly translated to increased business and enhanced brand recognition for National Bonds Corporation. The campaign resulted in 3,361 new business leads; 984 of which were qualified. 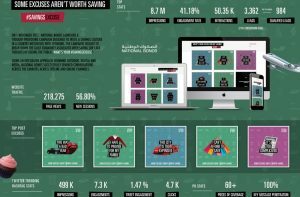 The thought-provoking campaign actively engaged and educated the public on the common barriers to saving and continues to help instill a savings culture in the UAE. It earned Gold in both the Financial Services and Integrated categories at the 2018 MEPRA awards. Novartis engaged Hill+Knowlton Strategies (H+K) to help establish a social media campaign – Keep It Pumping – across the MENA region. The campaign is designed to provide support for those with heart failure and their carers, as well as educate the wider public on managing and reducing the risk of heart failure. This included creating content, posting, media buying and community management on all social media platforms (Facebook, Twitter, Instagram and YouTube) in key markets, including Egypt. H+K also created the social media and social listening reports across the region, enabling the creation more targeted social media content, using country specific insights. A hero video (housed on the website and social media channels) was developed to highlight the prevalence of heart disease in the region to encourage the public to make better lifestyle choices. Overall, Facebook had reached 5,873,558 people, and Instagram 2,342,870 people, with a majority of comments received from Egypt. The campaign earned Gold in the Healthcare category at the 2018 MEPRA awards and is shortlisted for an ICCO Global Award in Healthcare. 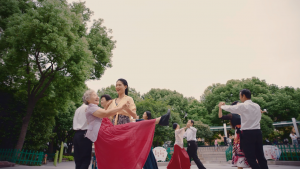 Despite being an industry leader in producing products aimed at preventing and managing adult incontinence, following their launch in China in 2017, Prevail faced the problem that their brand had close to zero recognition in the country and this was made worse by the fact that incontinence was a taboo subject. In order to increase awareness and drive traffic to Prevail’s ecommerce channels, H+K China made incontinence a topic of conversation in families by educating younger generations about the truths of the condition. This was achieved through video content inspired by the stories of real suffers, which earned a huge viewership as a result of the emotional story and true-to-life experiences. Published on both Prevail’s and Ergeng’s channels, the campaign struck a powerful chord with consumers, with our hero video receiving over 9 million entirely organic views in its first week. As a result of the activity, Prevail’s followers on Weibo also increased by 200% overtaking its established competitors to become the top brand in its category on the platform. This campaign was named Greater China PR Campaign Of The Year at the Campaign PR Awards 2018 and Best Healthcare Campaign at the SABRE Awards 2018.